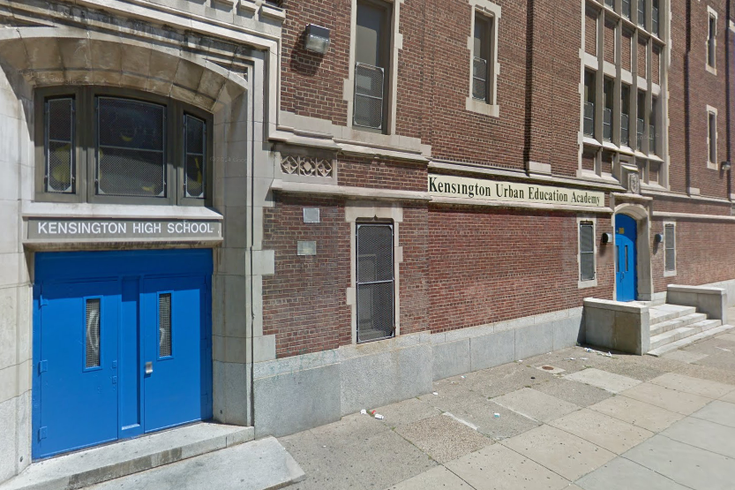 The Kensington Urban Education Academy is a public high school in the Kensington section of Philadelphia. The Kensington Urban Education Academy was placed on lockdown Tuesday morning after a school officer reported a gun was missing from a vehicle. The lockdown was lifted at about 12:40 p.m. The school at 2051 E. Cumberland St. was placed on lockdown at about 10:29 a.m. as a precaution, according to Officer Christine O'Brien, police spokeswoman. But police are currently unsure if the handgun went missing during the school day or at some point overnight between Monday and Tuesday, O'Brien said. "That's why we put it on lockdown as a precaution," she said. At about 11 a.m., O'Brien said police were at the school and working to determine if a search of the school would be necessary. After the lockdown, police spokesperson Officer Tanya Little said that police aren't ready to discuss if the handgun had been recovered. This is a breaking story, and will be updated as information becomes available.